I take regular mail server backup, why do I need Vaultastic? All actions on the mailstore including deleting of mail or mailboxes is reflected in the backup. Therefore if a user deletes mail, the backup will also not contain the deleted mail. Vaultastic in contrast, secures a copy of all the mail sent and received by a user at a secondary location. This ensures that even if a user accidentally or intentionally deletes mail from the primary mailbox, it is still available in the Vaultastic store. Recommended reading: Email archiving, backup and journaling: What is the right strategy to secure email data? 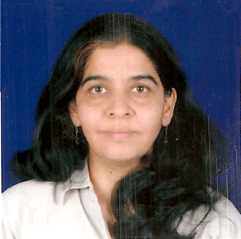 Aditi is currently leading the Product development work at Mithi. A keen learner and excellent project manager, she is always willing to learn from anyone who can help her do things better.